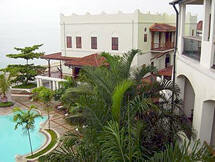 The Zanzibar Serena Inn is one of the most luxurio us and scenically located hotels in Stone Town, Zanzibar. The hotel is situated in two historic seafront buildings (the old Telegraph Building and the Chinese Doctor’s House), which have been beautifully restored. You’re cosseted away from all the noise and bustle of Stone Town, even though the labyrinth of streets starts just across the road from the hotel. The Zanzibar Serena Inn offers a cool and spacious reception lobby, which features high ceilings, marble floors and a water fountain in the centre. The interiors are beautiful, with a strong Arabic influence. The staff, dressed in Arabian outfits, usually provide efficient and genuinely warm, friendly servic e.
The hotel offers trips to a private beach at Mangapwani, 30 minutes away, where there is a watersports centre (snorkelling, fishing, dhow and catamaran sailing) and recreational centre (restaurant and bar). 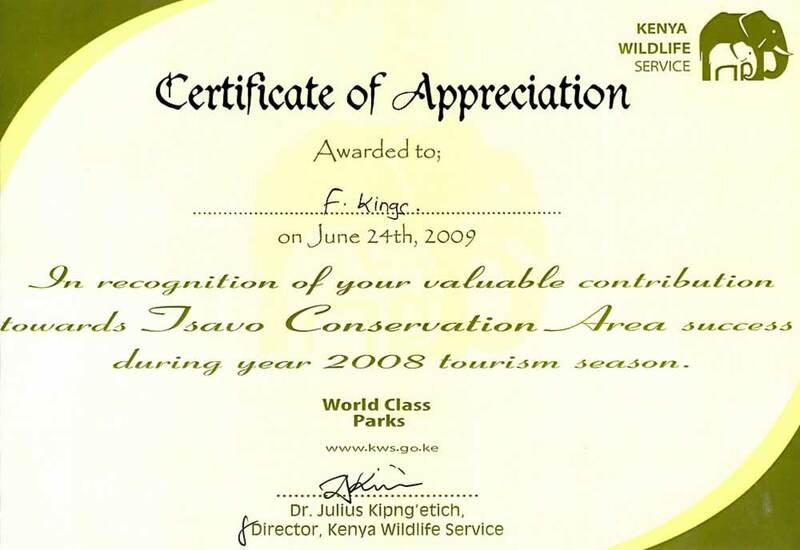 From here you can also visit the infamous caves where slaves were hidden during the illegal slave trade which took place after slavery was abolished by Britain in the late 1800s. 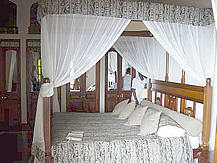 The Serena Inn offers a peaceful and refreshing haven in which to unwind after a busy day. 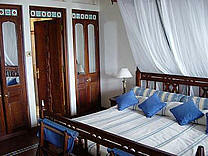 The Zanzibar Serena Inn is one of the most stylish places to stay in Stone Town.